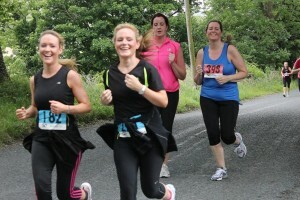 All good fun at 26Extreme’s Women’s Mini Marathon in Rostrevor. Whilst standing cheering on the 300 or so competitors in 26Extreme’s Women’s mini-marathon that took place parallel to the Ulster Way in Rostrevor yesterday, I was struck once again by how good the Rostrevor area is for outdoor sports. The challenging route began at the area of Leitrim Lodge, nestled in the shadows of Rocky Mountain, before a steep incline took the runners up past Santa’s Cottage, and began to reward them with a descent that brought in views down Kilbroney Valley, and across Carlingford Lough to the Cooley Mountains. Unable to participate, I could only be a supporter for the runners yesterday, but the smiles of those who went by, showed the value of being out in beautiful countryside. 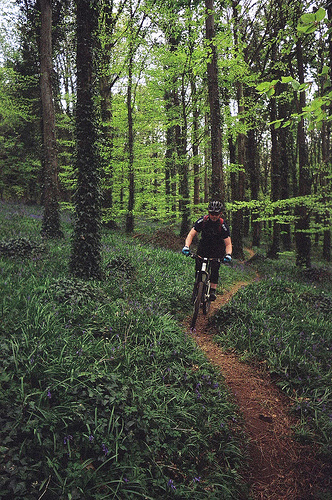 We aren’t limited to to athletics however, with the current development of the Mourne Mountain Bike Trails, to be completed for the end of this year, it is hoped Rostrevor will become one of the top destinations in the UK for mountain biking. The Rostrevor area is busy with events for all types of cycling, including the Irish Enduro Champs which will be hosted at Narrow Water Castle this August. Of course I can’t mention the Mourne Mountains without mentioning the popularity they hold amongst hill walkers. A guide to walking in the Mourne Mountains can be found on the Walk NI site. If dry land isn’t your thing, Carlingford Lough offers the opportunity for a whole range of water based sports, from open water swimming, canoeing, , dinghy and cruiser sailing, to the fun activities of banana-boating and jet-skiing. 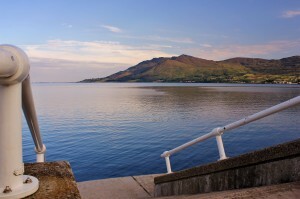 East Coast Adventure in Warrenpoint organise activities year round, and are well worth contacting. This may all seem a bit too energetic for some, so a much easier way to explore the area is by horseback. Depending on the level of experience of the rider, there are various schools in the area, or if you want something entirely different, why not discover the Mournes as a cowboy on horseback?